Do you have the next blockbuster idea? Are you itching to get your products in front of the likes of Mr. Wonderful and Mark Cuban on Shark Tank? Well, I can’t tell you how to get on the show, but I can tell you that if you have a product, invention, method, or something that you think is a pretty unique idea and you pitch it to the sharks - they almost always ask if the contestant has applied for a patent. 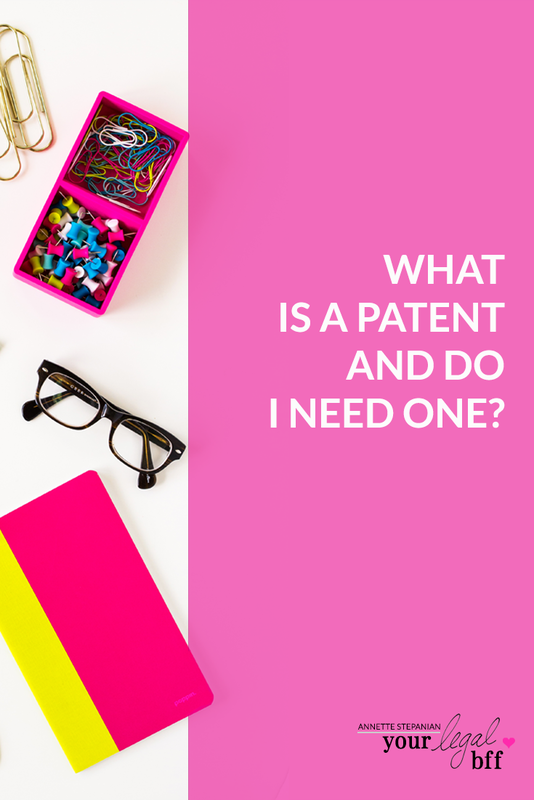 The topic of patents can be super confusing so in this episode I’m chatting all about it with patent attorney, Karima Gulick. After listening you’ll have a much clearer idea about what patents are, who needs to be considering them, what the patent filing process looks like and much more. What you need to consider in terms of the timeline to get a patent approved (it’s much longer than you may think)! If you’re a blogger, or content creator in the online space, at some point you’ve probably thought about how to monetize your content. You might be thinking of getting sponsors or finding advertisers to get those Benjamins rolling in while while you focus on creating epic blog posts and content. In this episode, my guest is going to help us answer some of these questions! Bruno Bornsztein is the founder of Curbly, a website he created to explore the creative side of home decor and foster a community of people who love where they live. Bruno started Curbly back in 2006, so he’s seen it all when it comes to online trends and specifically, where the world of sponsorship is headed. On this episode of Office Talk, I’m answering a question I receive quite a lot when I speak to event and wedding planners. You see, since event planners are often busy executing and designing the event, there isn’t something tangible left for them to include in their portfolio. That’s why they rely on photographs to help showcase their work and promote their business and services to others. I’m sharing the answer in this week’s Legal Quickie episode! When you get a glowing review from a customer, don’t you just want to shout it from the rooftops? Of course you do! As a business owner, you may want to use such reviews and testimonials to help promote and market your products and services. Maybe you’re putting those testimonials on your website, your sales page or sharing them on your social media. Well - surprise, surprise - there are rules about the right way to use testimonials in your marketing. And in this episode of Office Talk, I’m breaking down what you need to know before you do! Are you a blogger who receives free products or payment in exchange to share a review about that product on let's say your Instagram account or your blog? Or maybe you're an online business owner and you participate in affiliate programs where you promote another company's products and in exchange you receive a commission for each sale that you refer. If you're getting paid to create content promoting another company's products or services, then you've got to listen to the latest episode of the Office Talk #podcast. In it, I'm sharing four things the FTC wants you to know before you endorse another company's product or service. Ever wonder if privacy policies, terms of service, or trademarks really matter? Does the FTC really care about small businesses just starting out? With cyber law constantly changing and trying to catch up to advances in technology, it can be really intimidating to make sure you’re complying, especially for new business owners. In this Legal (Not-So) Quickie episode with Ryan Morrison, deemed “The Video Game Attorney,” we’re helping you sift through what is really important to protect our business right from the start. Are privacy policies and terms of service really necessary? At what point should you consider filing for a trademark? Let's continue the Office Talk conversation over in the Office Talk Facebook group. Join the group here. Do you have an online course? Or do you have one brewing in that beautiful brain of yours? As online course creation has become more popular over the years, I’ve been getting more and more questions from clients about what they need to be doing to protect their course content and your business. (Yup - even having an online course has legal implications.) In this Legal quickie episode, I’m breaking down some of the legal stuff you ought to be thinking about before you hit “publish”on your online course. Episode 11: Legal Quickie: Someone Has Copied My Work. What Should I Do? Ever wondered - do I really need to file a trademark? And at what point in my business should I consider registering my mark with the US Patent and Trademark Office? In this Legal Quickie episode of Office Talk, I’m sharing with you not only what a trademark is, but when you should be thinking about protecting your marks by registering it with the US Patent and Trademark Office. Have a listen - it’ll take less than six minutes - promise! Whether you're an illustrator, a course creator, a photographer, or [fill in the blank] - you work hard to create your work. So when you see someone copying your work - whether they're selling your work in an Etsy shop or lifting pieces of your course and reselling it as theirs.... you can't help but get upset. 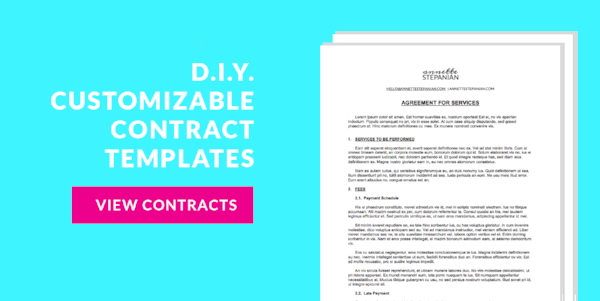 In this episode, find out some of the options available to you when you find that someone is using your copyrighted work without permission. Do you regularly get hired to create content for others? Or do you hire others to create content for you? Regardless of what camp you're in, you'll want to listen to this week's podcast episode. In the episode, I'm answering a listener question about what copyrights are and who REALLY owns the rights to a work. Specifically, Rachel is a lifestyle photographer and wants to know who owns the rights to the photographs when she's hired by a client to snap the pictures for a photo shoot. Do you know what the right answer is?